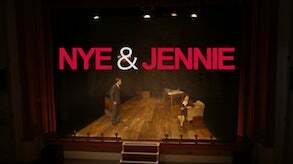 Multi award-winning Welsh theatre company, Theatr na nÓg (TOM, Eye of the Storm) have announced a UK-wide tour of their acclaimed political love story Nye & Jennie this autumn. The tour coincides with the 70th anniversary of the founding of the NHS in 1948, a year in which reflection on the NHS and its founding ideals have inevitably been making the news, and Bevan’s achievement recognised and celebrated across the country. Theatre’s one-man show Grav, and fresh from touring with the Royal Shakespeare Company, Louise Collins as Jennie Lee. This is Theatr na nÓg’s first co-production with Aneurin Leisure Trust, a natural partner for a play about their local hero. Aneurin Bevan, better known as ‘Nye’, and his wife Jennie Lee fought together for a new way of life for the people of Britain; he the Welsh Valleys’ firebrand on the Labour backbenches, who rose to become one of the greatest politicians this country has ever seen, and she the miner’s daughter from Fife who became a Socialist MP before she was old enough to vote. Together they navigated the turbulent world of politics to set up great British Institutions for the benefit of all - the National Health Service and the Open University.